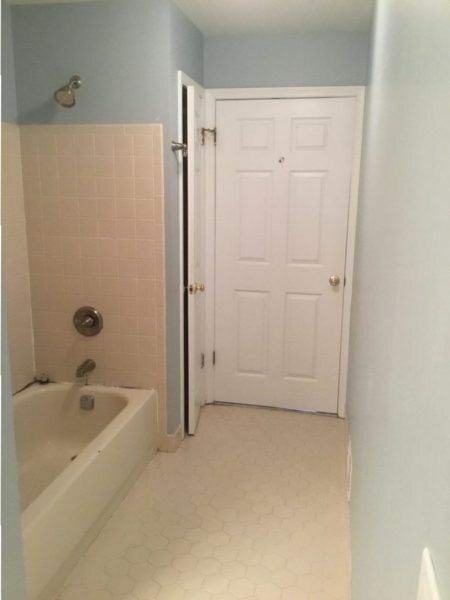 This is a straightforward bathroom makeover. The layout was staying the same. Therefore, the plumbing and electric were not changing. 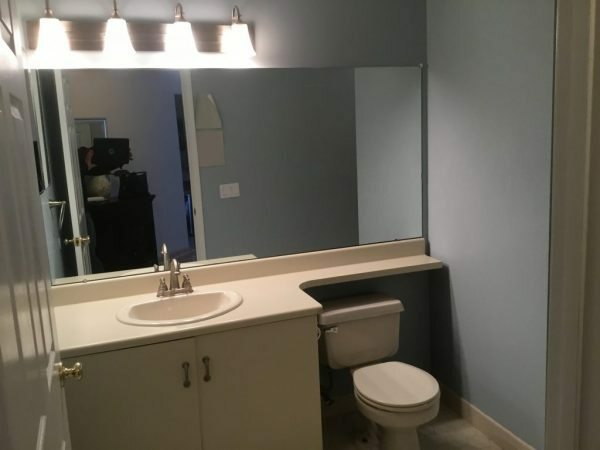 Because of this, we were able to completely remake this bathroom in only eight days. To begin with, the existing materials were removed. The old vanity, toilet, floor tiles, pink shower tiles and tub were taken out. After the walls were rebuilt, the tile floor was laid. 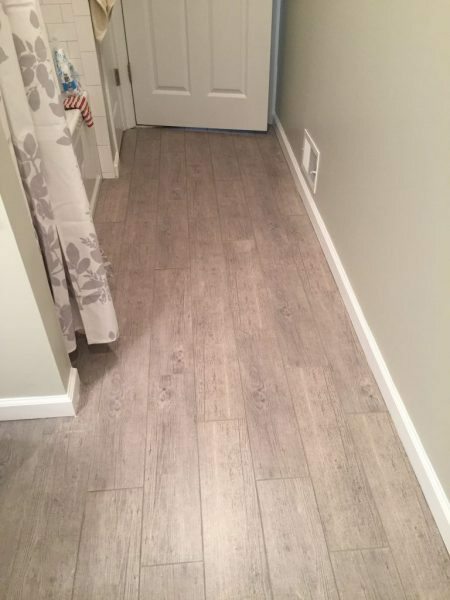 This porcelain tile has the look of wood planks. However, because it is porcelain, it is water tight. 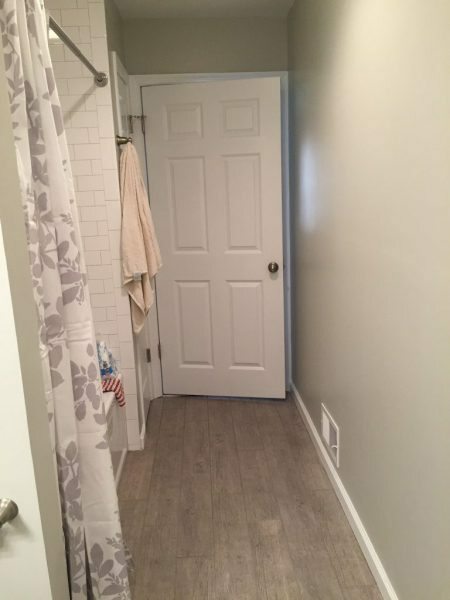 Additionally, a heating mat can be installed underneath porcelain tile. 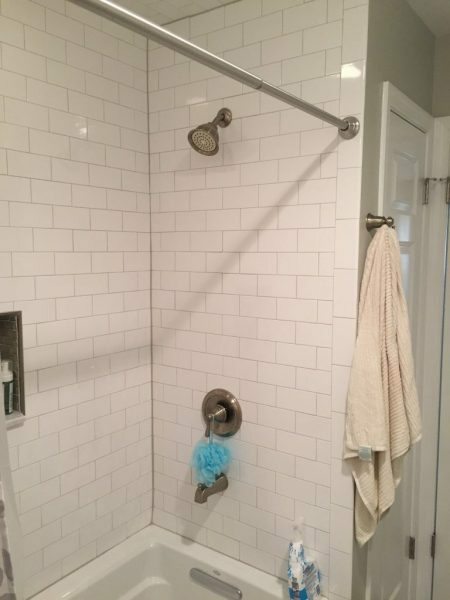 The white subway tile was installed, along with the custom shampoo niche (not pictured). 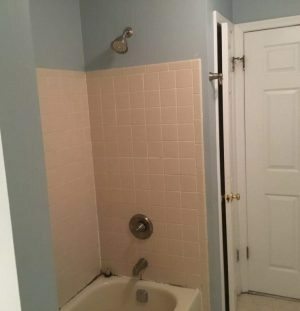 A grey colored grout was applied for a unique look. The new vanity and countertop were installed. We installed a glass mosaic backsplash behind the sink. To complement the glass backsplash, we put in lovely crystal door pulls. Finally, the room was painted a soothing grey green and accessories were mounted. 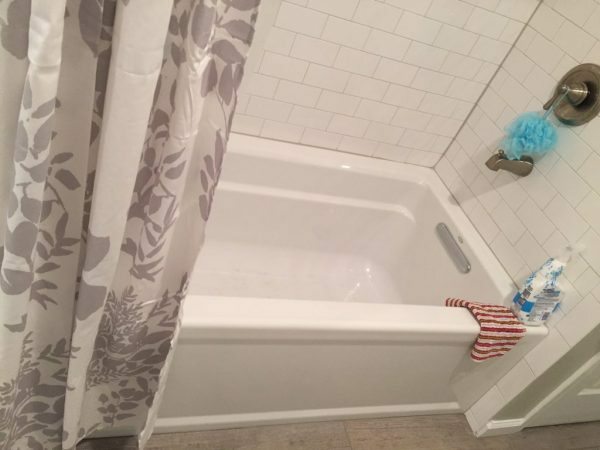 This quick eight day bathroom makeover made life easier for this busy family. 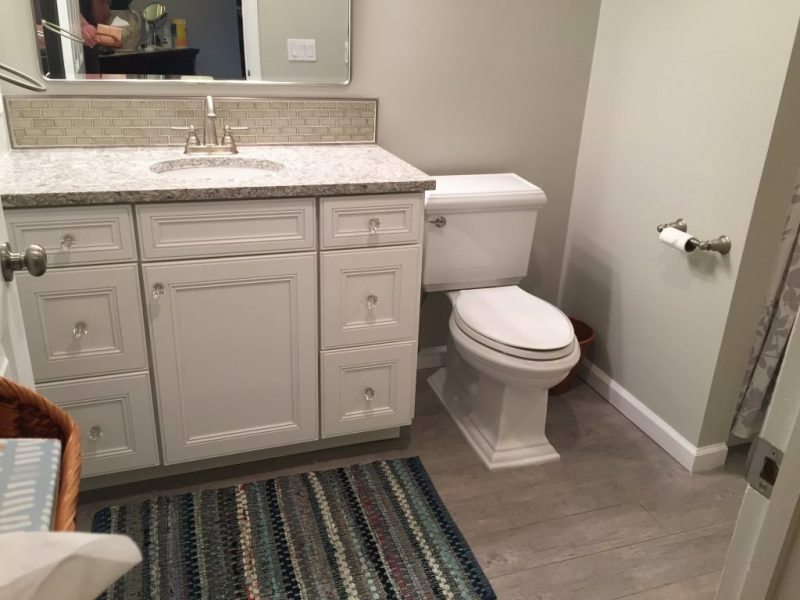 If you are considering a bathroom remodeling project for your home we would like the opportunity to tell you why we think we are the best bathroom remodeling contractor in Basking Ridge, NJ.